Pokemon Go was released globally today, to a great deal of fanfare. Seriously, my Twitter has been filled up with pictures of people’s ‘mons in the real world omigosh for most of the day now. What is Pokemon Go? Well, for those that somehow missed the news, Pokemon Go comes to us from the same developer as Ingress (Niantic), and as with Ingress, this game is an augmented reality (AR) experience set in the really real world, and makes heavy use of the iPhone’s geo-location GPS technology. Basically, Pokemon and gyms are scattered around the entire world, and your job is to wander around, collect the ‘mons, and clear the gyms. 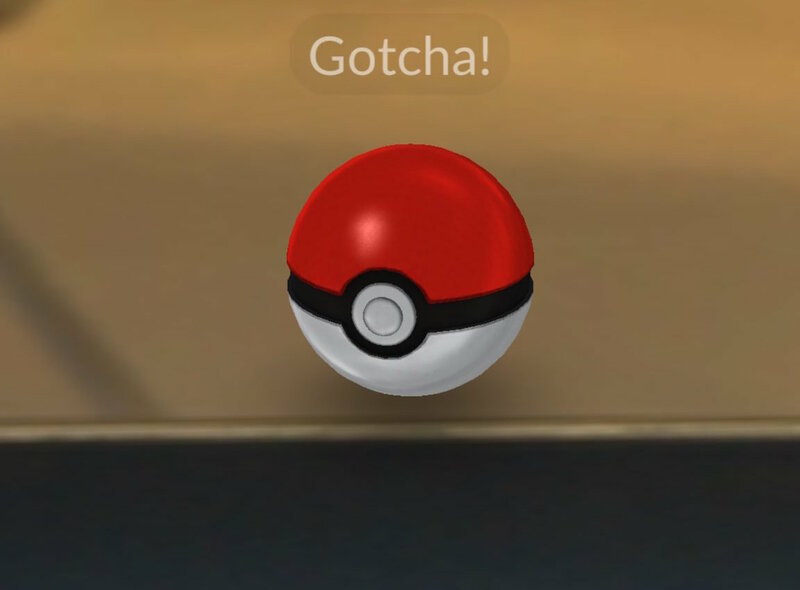 When you get close to a ‘mon, it will appear on the screen, superimposed over the real world, and you’ll get to throw pokeballs at it to try and catch it. Related reading: Our interview with Niantic, on AR, geo-location, and innovative mobile games. I’ve been joining in the fun, and to get that out of the way first – it’s a lot of fun. When you start playing you can’t do much more than capture Pokemon. Gym battles are locked away until you’ve hit level five, accumulating experience by fighting battles, walking around the world, and finding locations of interest (and more on those in a second). But, even before you get to the battles (I went on an hour walk and caught around six pokemon, but I’m only at level four), just tossing pokeballs at the cute little critters, and trying to line up good screenshots of them placed in the real world, is entertaining enough. But for me, what has really impressed me, right off the bat, is the points of interest – or Poke Marts, as the game calls them. These coincide with real-world landmarks, and offer bonus pokeballs and other loot for getting close enough to one in the real world. The landmarks range from buildings, to famous examples of street art, and other things that a tourist might find charming, interesting, or valuable. There seem to be a lot of them– in my walk I activated 20 or so – and for me this is the real selling point for Pokemon Go. My walk was a route that I take almost every day to and from work, and I quickly discovered how little I actually knew about this road that I walk on. I passed quite a few points of interest that I was either unaware of, or had never really registered on me that ‘hey, this random bit of street art is actually really cool.’ In-game, each point of interest is photographed, and for whatever reason, seeing those photographs framed that way helped remind me that, even on this mundane walk I’d taken hundreds of times before, there was actually plenty of interesting stuff that people, experiencing them for the first time, might find very appealing. I immediately had a new appreciation for the walk, discovered some things that I actually now plan on exploring in more depth when I get a chance, and even realised that I should probably take my camera with me one day, just to grab some photos on the way. I’ve also decided to take some different paths over the next couple of days, to see what other points of interest are nearby, and on the weekend I’ll probably go for another wander. Pokemon Go is encouraging me to be more active, even within the boundaries of my daily activities, and that in itself is a noble, noteworthy, important initiative for a game developer to take. At a time where obesity rates are soaring, apps like this, that encourage people of all ages to get out and about, should be lauded. That pales compared to the educational value, however. On my walk, I discovered that there’s a small war memorial that I pass by each day without ever really taking note of it. Now, though, I feel almost obliged to visit it and learn more about it. 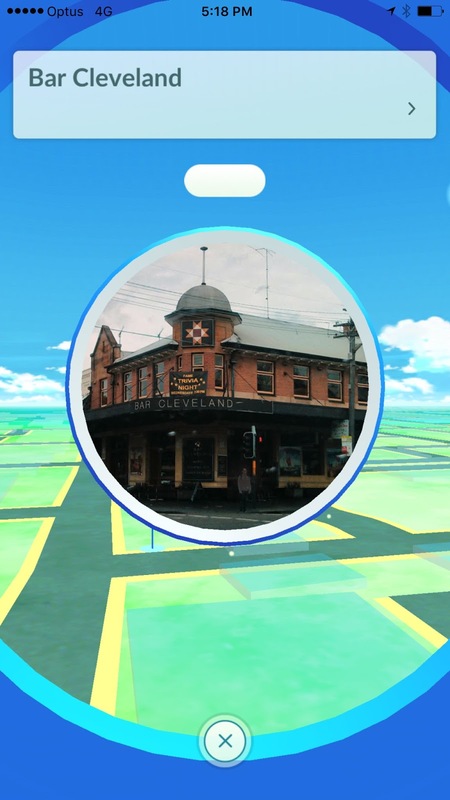 Admittedly, another landmark was a pub and simply made me thirsty, but if you consider that Pokemon Go will help people truly discover what is unique about their homes area, as well as anywhere else they might visit on holiday or through work, I would argue that makes it almost essential. I would have appreciated more information on these locations. Currently, all you get is the name of the location, as well as a photo, but when I was speaking to one of the Niantic guys about the team’s work, working with tourism boards and organisations to provide information on locations to tourists as they explore is certainly on the agenda. 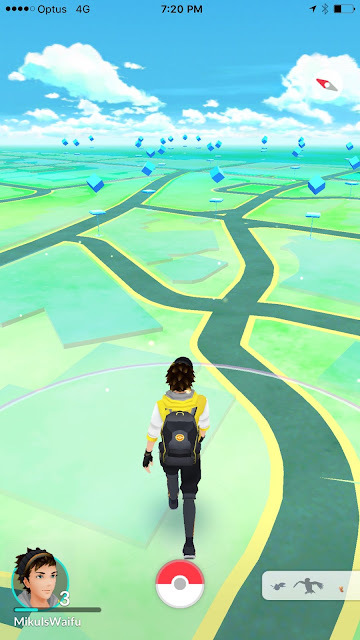 What a supplement to a tourism experience that would be – explore an area of a foreign city, learn about some key landmarks, catch yourself some rare ‘mons, and get some in-game rewards. It will be a very clever way to subtly guide a tourist’s movements, and encouraging them to see as much of the local area as possible. Related reading: On the social and cultural implications with AR. And, while I’m not 100 per cent certain it would be a good idea to mix the game and marketing, I can see scenarios where that might work too. I’d get a real kick out of undertaking an Akihabara shopping tour, for example, where I was directed to certain shops to get in-game rewards or discounts at the shop through the app. This could, of course, ruin the experience too by turning it into a cheap marketing tool, but if it was handled more from a tourism point of view than a traditional advertising perspective, it could be a wonderful value-add to the game. There’s still a lot that can be done with this app, as it’s obviously in a bare-bones stage, and I would expect that, if it lasts as Ingress has, more and more features will be added over the coming months and years to keep players coming back. For now, however, I am very content with the way Pokemon Go has kicked off. I didn’t expect it to have much value beyond a gimmick, but, if over the longer term it does inspire me to continue visiting new places and walking new paths, then it is very, very worthy indeed.